I grew up in a household of doctors and planned on becoming a doctor myself. My undergraduate studies prepared me to go to medical school, but before applying, I began working in a family practice clinic as a care manager for patients with diabetes. I saw firsthand the social determinants of health and the complexity of issues in our healthcare system. This experience changed the course of my life and I began to focus on health policy as a way to improve the health of many, rather than clinical work with the individual patient. I worked as a research assistant for the Colorado School of Public Health, for a policy nonprofit called the Integrative Health Policy Consortium, and last year, worked with then Representative, now Senator Pettersen, as her legislative aide on the opioid crisis, public health in Colorado, and education policies. This summer I worked on the 5A/5B campaign, which secured funding for Jeffco schools, and the Lakewood 2D campaign, which created funding for our parks, police and community needs. I’ve also spent the last nine years volunteering with women who are recovering from addiction and trauma issues. Although this is a somewhat non-linear path to running for office, I’m running because I deeply care about Lakewood and improving the health of our community. That means making sustainability a priority so that our kids get to experience the same Lakewood that we do. It means investing in bike and alternative transportation infrastructure so we can enjoy the Colorado way of life with our families. It means keeping Lakewood inclusive and affordable for our teachers, firefighters and families. It means investing in our police department’s needs so we continue to be a safe community. And it means actively participating in our democracy because all of our voices need to be heard at the decision making table. I wasn’t born in Lakewood, I chose Lakewood as my home. I chose to make roots and start a family here, and I’ll work tirelessly to ensure our city and our communities are as happy and healthy as possible. I need YOUR vote to win, and keep Lakewood moving forward! In 2018, I was a co-director of outreach for the 5A/5B ballot initiative and have continued to fight for our schools to make sure every Lakewood kid gets the opportunity for a good education and a safe school experience. I’ll work to keep our neighborhood schools like Stober Elementary open, ensure Lakewood kids can go to Outdoor Lab, and implement our sustainability plan to ensure our youth have access to clean air and water for generations to come. In 2018, I worked to pass a ballot initiative that invests millions into the purchasing of land for park creation. Lakewood has over 100 parks. In fact, over 25% of our City is dedicated parkland. 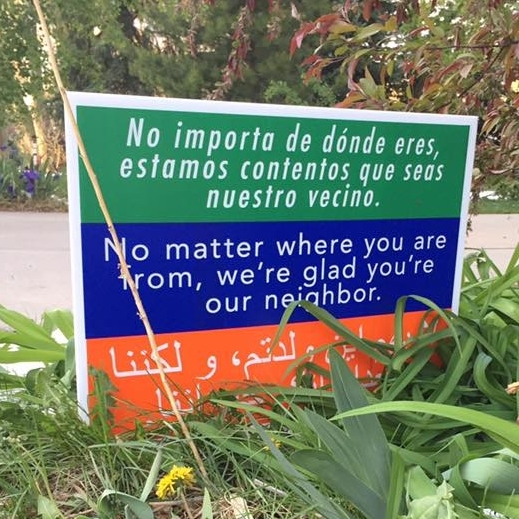 This is one of the reasons I moved to and love Lakewood. I will fight to protect every inch, and work to continue investing in great open space and park opportunities. I am proud Lakewood is still committed to the Paris Treaty. With smart investment and careful planning and leveraging grant dollars, we can take Lakewood from a “Bronze” bikeable city to “Silver.” This is great for business, health, environment, and traffic reduction. I will support local action on sustainability. The rents and home prices in Lakewood are soaring, and it is becoming more and more difficult for the people who live and work in Lakewood to make ends meet. I want to live in a community where teachers, firefighters, nurses, young professionals, working families and seniors can afford to live. That’s why I stand for housing that is affordable for regular people. 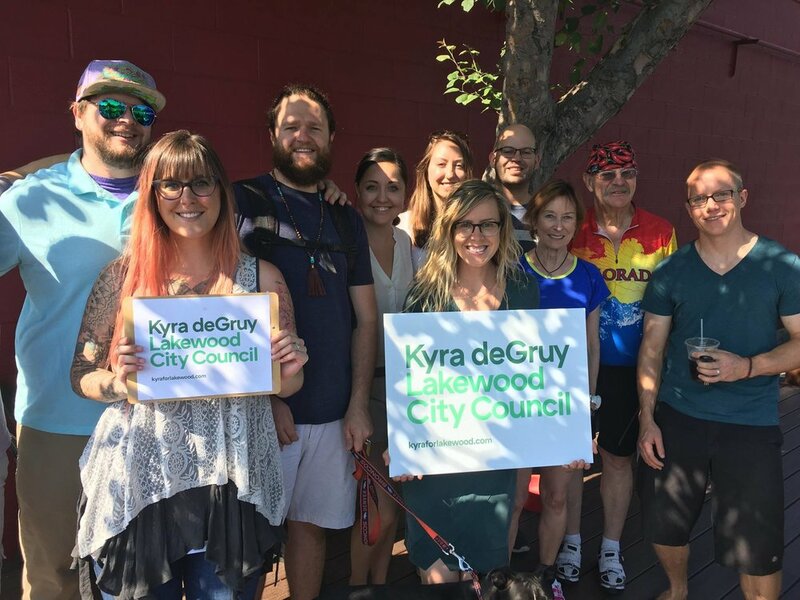 I’m proud of the redevelopment of areas like the West Colfax neighborhood and I’ll fight to make sure we’re balancing redevelopment of areas that need it, while keeping the rural feel of Lakewood in our established neighborhoods. Lakewood is growing, and we need a more sensible approach that demands responsible and sustainable efforts from developers, keeps our economy strong, protects our neighborhood charm, and enhances our community. I know what good quality, sustainable development looks like and how to demand it. Public safety is a matter of vital importance. I’ll make sure the Lakewood Police Department has the resources they need to keep Lakewood safe. Lakewood PD is known nationwide as a top-notch police force. I'm proud of that and want to keep it that way. I support adding new agents to the force, specializing in homeless issues so that we can keep our patrol on the streets. I support equipping our force with the technology they need, like smart phones and mobile digital computers. Having worked for a small, local business, I know how important they are for our community and our country. I’ll work to bring more businesses like Mint & Serif into our neighborhoods and make sure we’re supporting our community associations. To learn about mail-in ballots, drop off centers, or voting in person, go to the Jefferson County voting information page. If you live within the boundaries outlined in red on this map, you are within Lakewood Ward One. What are you hoping for in Lakewood? What projects are most important to you? Please contact me by filling out the form below and let's grab a cup of coffee to discuss your thoughts.